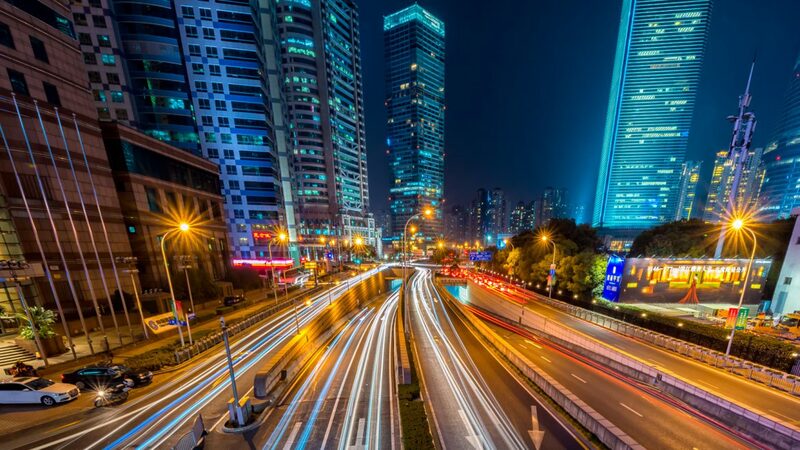 First Lublin, then Madrid… What’s next for IMPACT Connected Car startups? 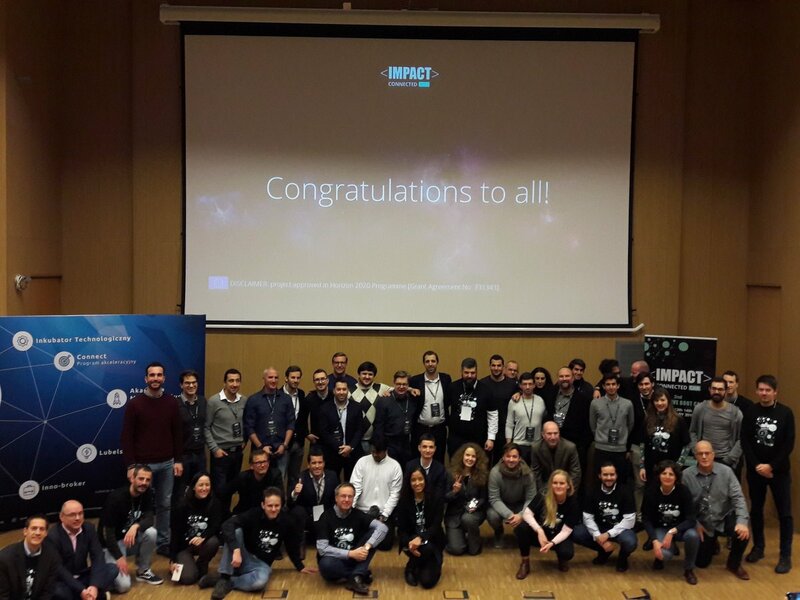 IMPACT Connected Car wrapped up its second and final call in October with the participation of over 200 startups and SMEs from 39 countries. 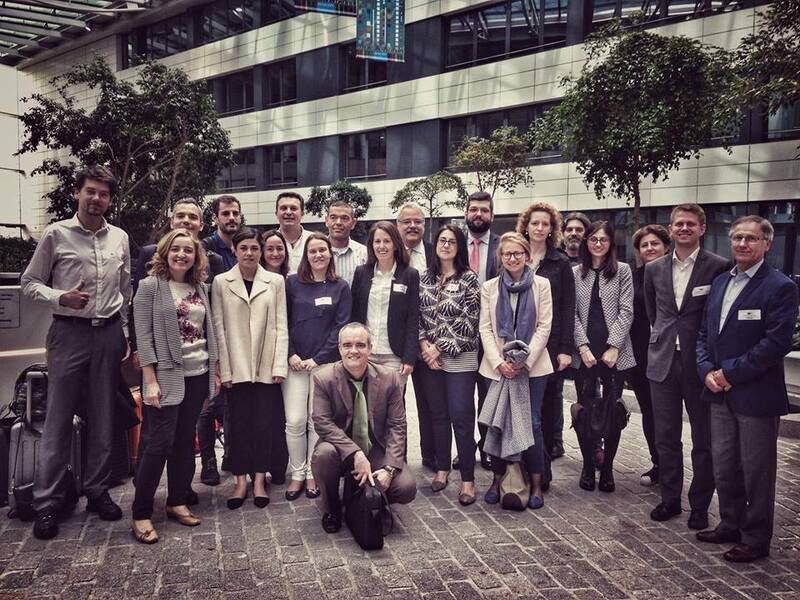 In February, 24 projects were chosen to enter the three-stage acceleration program. 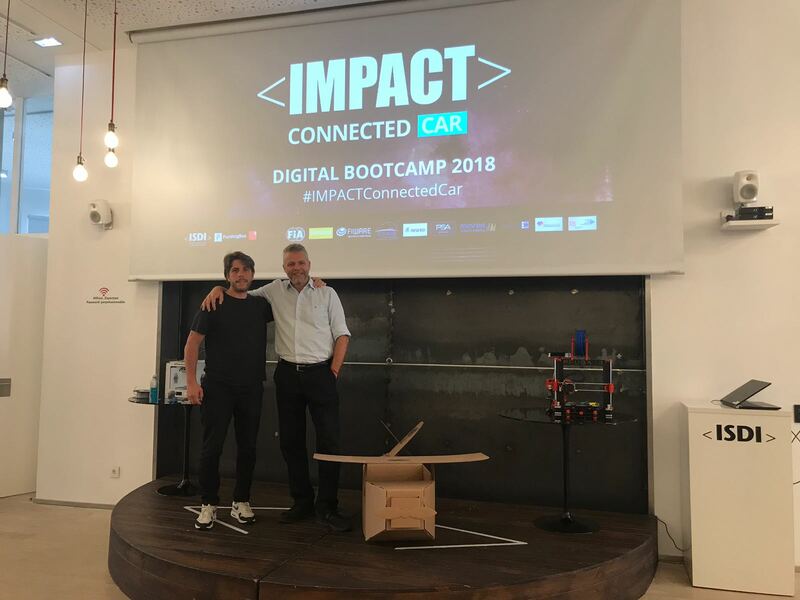 A month later, these selected startups traveled to Madrid to participate in the IMPACT Connected Car Digital Bootcamp, a week-long event that gathered startups, consortium partners, superstars from previous IMPACT programs, and experts from all around the globe. The program kicked off in February with a three-day Disruptive Bootcamp held in the Polish city of Lublin, and organized by LPNT, one of the partner organizations in charge of connecting IMPACT Connected Car startups to the ecosystem at large. In total, 37 pre-selected startups from among over 200 applicants attended the bootcamp, where they participated in various training sessions and workshops, and had the chance to meet with consortium partners for the first time. The event concluded with a jury day. 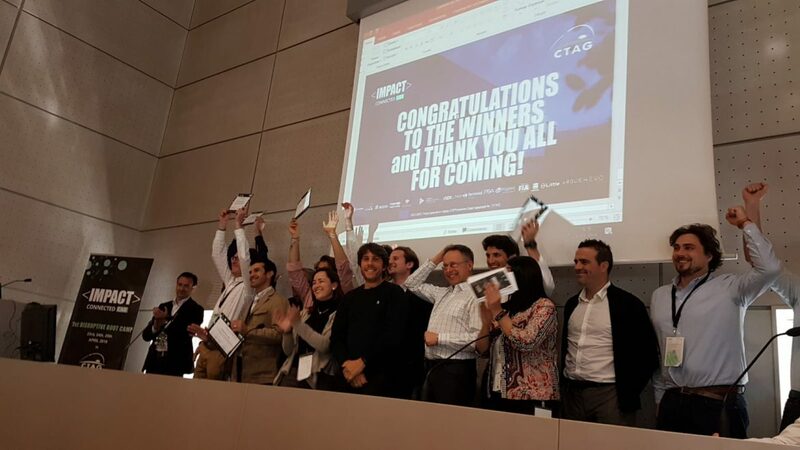 You know the drill: founders pitched in front of a jury composed of representatives from IMPACT Connected Car partners, and at the end of the day 24 startups were selected to enter the second phase of the program, a two-month acceleration led by ISDI and CTAG. Selected startups and consortium partners take a group photo at the end of Disruptive Bootcamp. Here’s a list of the 24 startups selected to participate in IMPACT Connected Car’s second batch of acceleration. Check them out! 25ways (Germany): A provider-independent mobility platform that encourages behavioral changes towards sustainable mobility options. Anadue (Ireland): An analytics platform to help Connected Car Service Providers to maximize the value of their real-time data. Ainomaly (Sweden): RoboTest enables software developers to deliver high quality code quickly. BeNomad (France): A navigation software tailored to helping companies manage their mobile resources as effectively as possible. Better World (France): Better World collects feedback from customers, analyzes the data and shares it with car-making businesses. Drive Buddy (Turkey): Drive Buddy is a mobile solution that analyzes driver’s driving habits and detects car accidents by just using sensors on the smartphones. Drivvisor (Spain): An app-based driving monitoring system that uses the front camera of a smartphone to perform driver distraction and fatigue detection while driving. Eiver (France): Eiver is based on Al algorithms and big data analytics, and has been designed to improve the user’s driving performance and inspired by popular health and wellness quantified self applications. Go To-U (Ukraine): An app for drivers to book the charging EV station at the most convenient time. Journify (Spain): A carpooling app for daily commutes, such as going to work or to school. Letos (UK / Germany): Real-time monitoring of a person’s heart and respiration rates, all without coming in direct contact with the person under test. Make My Day (Israel): A car software system that uses a unique algorithm and big data to provide the optimal route. Mappo (Israel): A geo-culture content layer created by an algorithm.The geo-culture content combined of texts, music, TV and AR. Micocar (Spain): An app to save 10% to 50% on all taxi rides. An efficient marketplace where ride prices are calculated according to supply and demand. Newport IMS (France): A vocal companion providing in-car mobility services and products. Ozone Drive (Spain): A tech-based EV car-sharing solutions to address the zero-emissions mobility challenges as an optimized way of transportation. Parquery (Switzerland): Parquery analyzes images from any camera to detect objects and provide parking managers with real-time answers. Safemode (Israel): SafeMode profiles driver behaviour using Big Data & AI algorithms based on behavioral economics techniques. 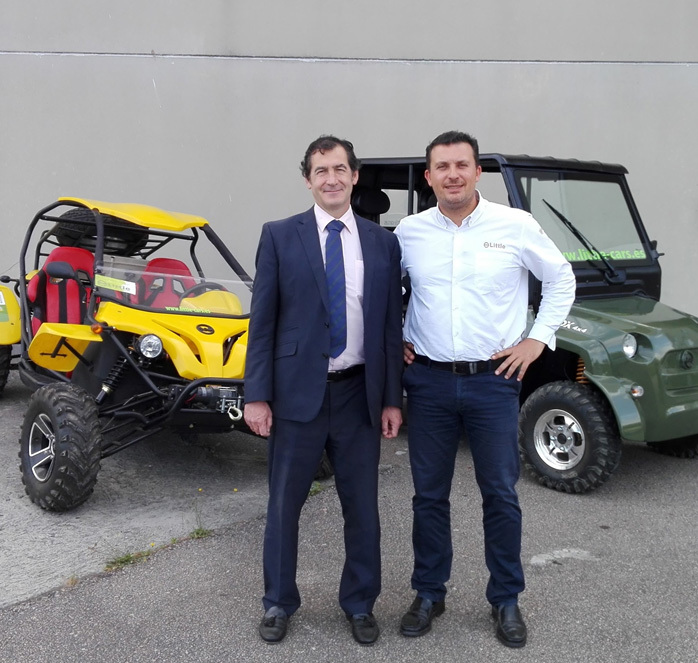 Secmotic Innovation (Spain): An awareness and safety system for work zone invasion that increases safety and controls accessibility in temporary working areas of roads. X-Motion (France): An app that leverages artificial intelligence and smartphone sensors to provide predictive analytics for driving behaviour and vehicle management. Zify (France): A carpool service that has become an alternative to pre-existing mobility networks. 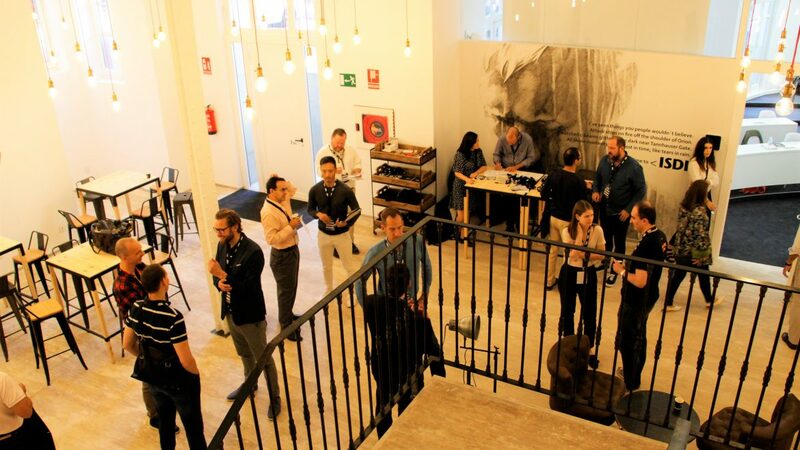 In March, the 24 selected startups traveled all the way to the Spanish capital to take part in the Digital Bootcamp. 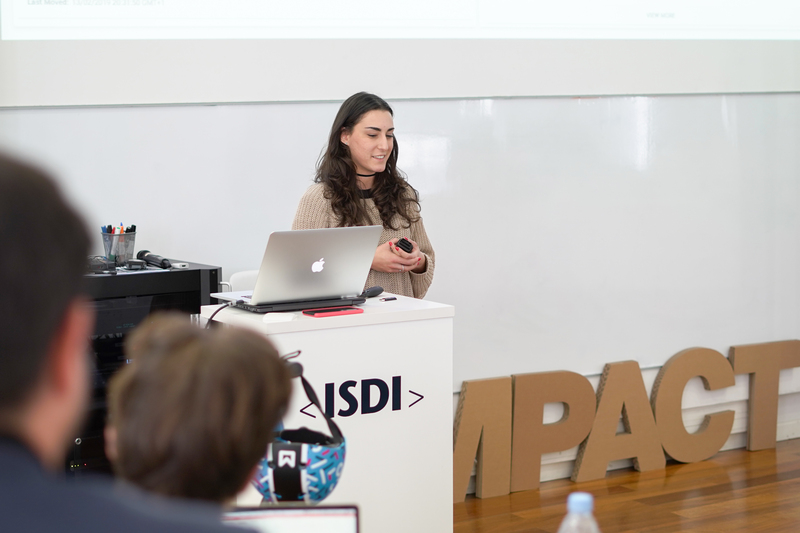 The event was held at ISDI, the leading digital business school in Spain, and the partner organization in charge of leading business coaching in IMPACT Connected Car. 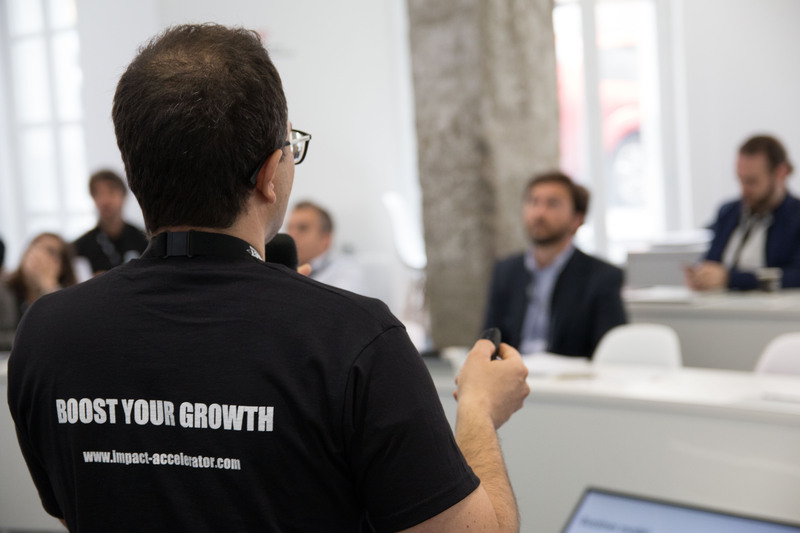 The first day was a chance for startups to learn more about the acceleration process and for the IMPACT Connected Car partners to learn more about the startups’ needs. As a result, the event began with partner introductions and live product demos where founders had the chance to show what their startups actually do. 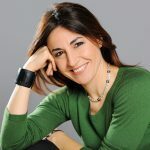 Elisabetta Mari, COO of 2hire, presents her startup’s product. The day closed with an inspirational talk by Talal Benjelloun, CEO and co-founder of Glamping Hub, a startup previously accelerated by IMPACT, that was followed by a networking cocktail, where founders got to meet their peers and chat with consortium partners. As much as we believe in the benefits of remote work, this type of face-to-face activities are also essential to startups’ success in the program. Startups snap a photo during the post-Welcome Day networking drinks. The following days were packed of classes and workshops led by experienced professional from all around the world with multinational, consultancy or entrepreneurship experience. In the evenings, startups were given the opportunity to meet privately with specific consortium members in order to get to know each other better, discuss next steps in the program, and ask for help and support if needed. Startups got to meet with the coordinator of the program (FundingBox), the business coaching leaders (ISDI), some of the technical coaching providers (CTAG and AUTOKLASTR) and corporate partners (Ferrovial Servicios, PSA Groupe and FIA). Founders having one-to-one meetings with consortium partners. All 24 selected startups are now well into the second stage of the program, during which startups receive customized mentoring from top experts in the mobility and business sectors, as well as technical coaching. At the end of this two-month period, only 18 companies will be selected to remain in the program. These startups will then enter the third and last stage of acceleration, which will last four months and will include two new features: funding coaching (led by FundingBox) and corporate guidance to foster startup-corporate collaboration (led by Ferrovial Servicios). Startups will also have access to an international network of mentors, founders and investors with expertise in the digital sector and the automotive industry, and will have the opportunity to showcase their companies at top international events organized by 4YFN and Mobile World Capital Barcelona. WHAT'S THE IMPACT CONNECTED CAR EXPERIENCE LIKE? Don’t take our word for it! Watch this short video and hear directly from startups and consortium partners. But what, exactly, does that mean? Digital Bootcamp is part of the acceleration process designed for the startups in IMPACT Connected Car, the automotive and mobility-focused vertical of IMPACT Accelerator. Normally it’s an exclusive, invitation-only event, but in this post, we’re throwing open the doors to give you a glimpse of what goes on. If you’re inspired, apply to IMPACT Connected Car (before October 18th, 2018) and who knows? You might find yourself taking part in the next Digital Bootcamp. What is a Digital Bootcamp? Digital Bootcamp kicks off the acceleration program. It’s a week-long event that brings the newly-selected startups together with mentors, IMPACT Connected Car partners, digital experts from top organizations, and star entrepreneurs from all over the world. Each day is packed with intensive classes and seminars from experts. Not only do startups learn a lot, but it’s the first chance for them to get to know each other, so there’s also plenty of time for networking – and fun. 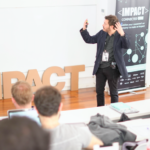 The first Digital Bootcamp took place at ISDI’s headquarters in Madrid and was attended by the fourteen startups that comprised IMPACT Connected Car’s first batch. The startups came from all over Europe, including The Netherlands, Austria, Sweden, Italy, and more. A startup founder gives his product demo pitch. ISDI, leading the high-quality acceleration program. FundingBox, coordinators of the program. Mobile World Capital Barcelona, which connects startups to the best events in the world. Ferrovial Servicios and PSA Group, leaders of corporate coaching for startups. CTAG, Insero and Mov’eo, public clusters leading the technical coaching. 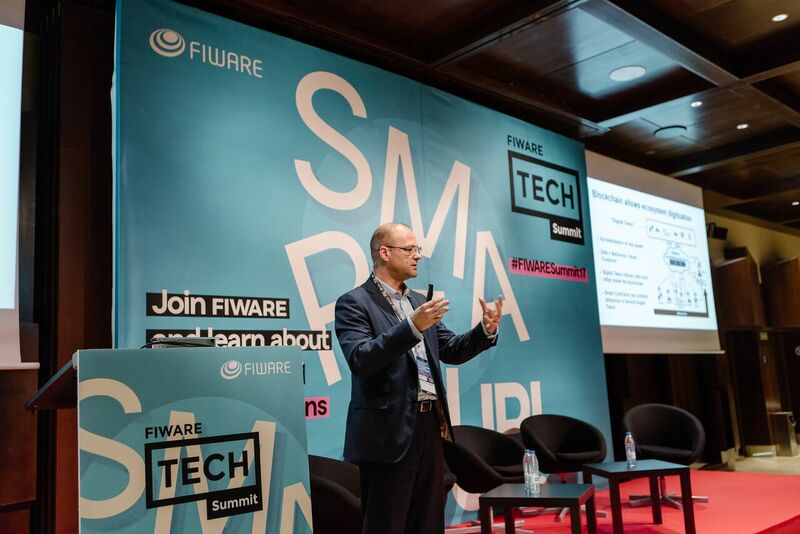 FIWARE Foundation, bringing Europe’s own open-source technology to the program. FIA, PARP, LPNT, and Autoklastr, organizations that connect participating startups to the ecosystem at large. And four pioneer success cases to inspiring startups and SMEs to apply: Little Electric Cars, HEVO Power, Argus, and Botcar. Digital Bootcamp starts with a grand Welcome Day. In the morning, startups meet the partners and hear about the acceleration program to come, what’s expected of them, and what they will learn. Mentors play a key role at the event, as they do throughout the mentoring process. At IMPACT Accelerator, each selected startup is paired with a “follow up mentor,” an expert custom-matched for the startup’s needs. Mentors come from well-known organizations such as Google, Tesla, and more. 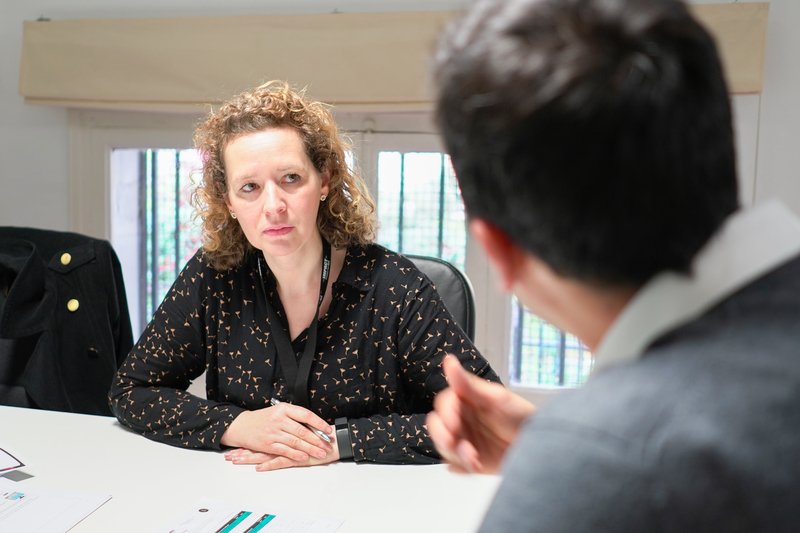 This mentor will meet regularly with the startup and, over time, forge a positive relationship with the startup team that will help the company grow. Startups and mentors meet each other for the first time on Welcome Day in a mentor unveiling ceremony, one of the more dramatic moments of the day. In the afternoon, startups give their pitches but with a product demo twist. The focus isn’t on trying to “sell” their startup — they’ve already been selected for the program, after all — but rather to demonstrate what, exactly, their startup does. Gone are the PowerPoint presentations and market projections. Instead, startups show off dashboards, give live demonstrations, and reveal the day-to-day of their product. Towards the end of the day, an exclusive keynote speaker addresses the startups, offering advice and valuable insights. The keynote speaker for the first IMPACT Connected Car Digital Bootcamp was Soujanya Bhumkar, former VP of Global Partnerships and founder of Cooliris. Finally, the day ends with an informal drink and a chance to network. It was an honor to have Andy Stalman, author of BrandOffOn, as a speaker at the Digital Bootcamp. The rest of the week is devoted to an intensive schedule of classes, workshops, and inspirational talks. All material is carefully curated to help startups get the most out of their time in the Bootcamp, and teachers are expert professionals drawn from top tech companies around the world. IMPRESSIVE!! I don’t think that I have ever come across such quality accelerator program. The content of the lectures is extremely appropriate with a good mix of both hands on tools and theoretical explanation plus real life examples. The speakers were simply amazing and inspiring. The rest of the startups agreed. Participants were asked to fill out a daily survey – part of our ongoing commitment to live due diligence and constant improvement. At the end of the week, the average class session was rated 8.8 out of 10, meaning the startups were taking away a lot of value. On the last day, startups hop on trains or catch planes back to their home cities. IMPACT’s acceleration program is “delocalized,” meaning that startups don’t have to move to a new place in order to take part. They can strengthen the European startup ecosystem without disrupting their local network. Over the next three months, the startups will meet with their mentors, set goals, measure progress, and grow, grow, grow! What do startups get out of IMPACT? If this sounds like something you’d like to be part of, apply to IMPACT Connected Car before October 18th. What are the six IMPACT Connected Car challenges? IMPACT Connected Car is currently looking for innovative mobility startups and SMEs focused on six verticals, or challenges. The verticals are broad enough to admit a wide range of projects while narrowing the scope and specialization of the program. To learn more about the six verticals and which one your startup fits into, read on. Further information about IMPACT Connected Car on the official FAQ. Apply before October 18th, 2018 at 17h CET on the website. You’ve probably heard of IMPACT Connected Car, the mobility & automotive vertical of IMPACT Accelerator. You might even be in the process of applying to the open call right now. If so, you may have encountered the question about what challenge your startup fits into. 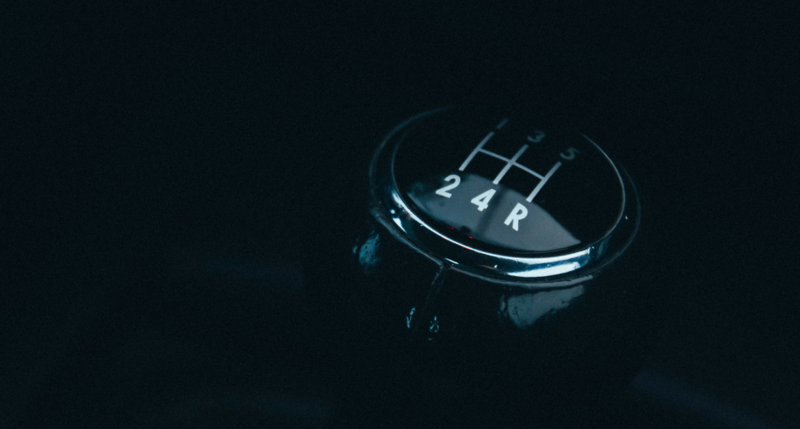 In Connected Car, we use the word “challenge” to refer to vertical or focus. There are six main challenges in the program. Let’s dive in and take a deeper look at what each one of these challenges entails and what projects we might see applying in each category. Before we go any further, however, please note that projects are not limited to the categories detailed here. What’s most important is that applicants show how their startup or project will directly impact the connected car space. The challenge of safety and security is to develop functions that warn the driver of external hazards and to create internal responses to those hazards. Features that are included in this challenge include: collision avoidance (blind spot monitoring), intersection pilot, lane assistant, autonomous braking, traffic sign violation warning, hazards warning, emergency calling (eCall), protection of vulnerable road users, cybersecurity, stolen vehicle tracking and recovery, roadside assistance, measurement of pavement conditions, and cybersecurity dedicated to blockchain. services (C-ITS applications) to connect cars with VRUs and warn of danger. The challenge driver assistance focuses on partially or fully automatic driving. Up to 90% of all traffic accidents are caused by human error. Thus, automating driving in part or in full will greatly reduce the number of accidents and increase safety on the road. Projects applicable for this challenge might include operational assistance or autopilot in heavy traffic, in parking or on highways; 3D cloud-based navigation; cruise control; self-driving; speed or distance advice; or artificial intelligence (AI) for autonomous driving. services (C-ITS applications) related to control self-driving, speed, and distance. Well-being is focused on identifying functions that relate to the driver’s comfort, ability, and fitness to drive. This might include fatigue detection, alco-lock, seat adjustment, services or funcions to assist elderly drivers, driver distraction alert, or driver health monitoring. monitoring services to track drivers’ abilitites and behaviors. 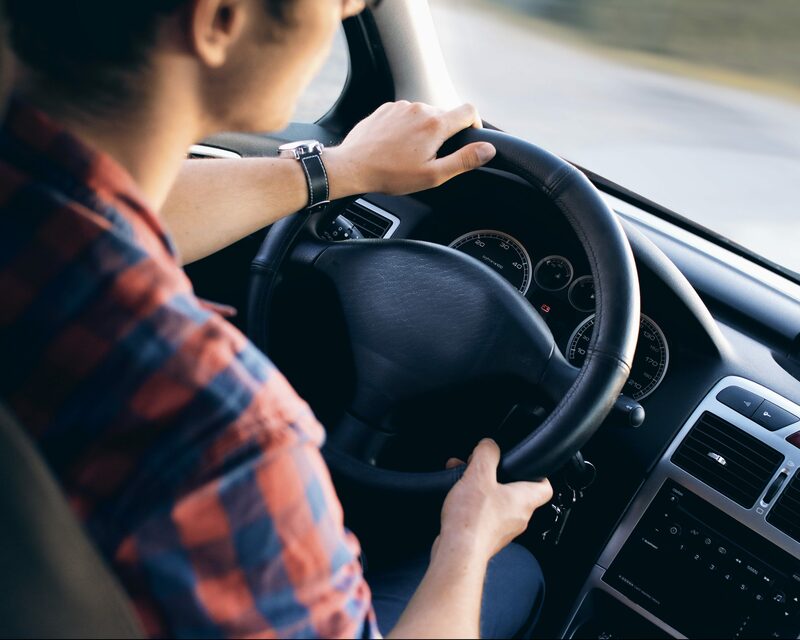 The challenge related to mobility management is all about making sure drivers reach their destinations quickly, safely, and in a cost-efficient manner. Mobility management covers current traffic info (floating car data/ITS), maps/street view, journey planning, parking lot or garage assistance, electric vehicle services (including charging slots, locating charging stations, prices), estimating battery and driving range, home charging, optimised fuel consumption, hazardous climatic conditions warnings and driving tips. journey planning, taking into account possible climatic hazards and offering advice on driving in unusual conditions such as black ice, animals on the road, and so on. Startups in the challenge of vehicle management seek to aid the driver or car owner in reducing operating costs and improving ease of use. This includes vehicle conditions and service reminders, remote operation, transfer of usage data, driver performance analytics, electronic tolling and road usage, car sharing, vehicle-to-grid capabilities, customer profiling, load identification and characterization, vehicle communication (V2X), or artificial intelligence. sevices to connect the vehicle to any other device, car or infrastructure. Startups in the infotainment challenge, as might be guessed from the name, look to entertain driver and passengers. Topics included in this challenge may be related to the smartphone interface, Internet services & hot spots, social media & networking, personal info management, the mobile office, ads & points of interest, or easy booking at hotels and restaurants. entertainment services for driver and passengers in self-driving cars. 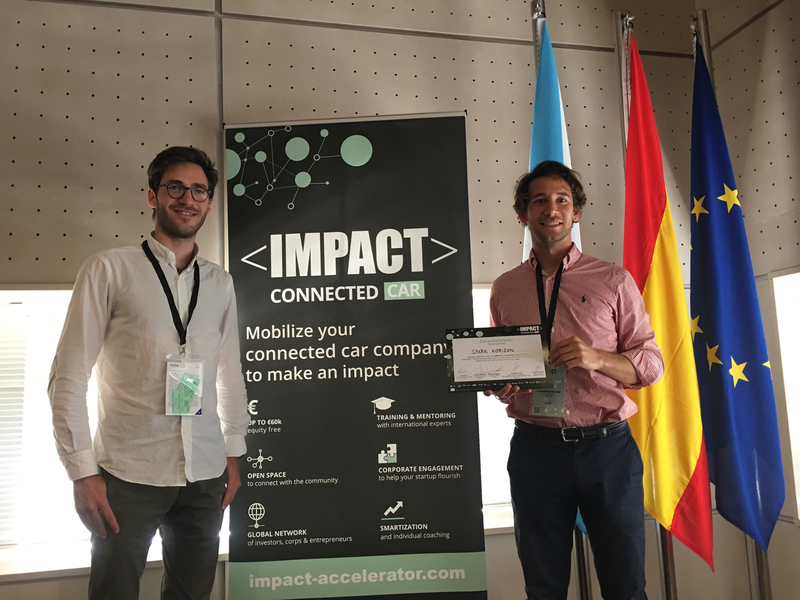 IMPACT Connected Car is supported by the collaboration of 13 partners from across Europe: ISDI, FundingBox, CTAG, INSERO, Mov’eo, Autoklastr, LPNT, Mobile World Capital Barcelona, PARP, Ferrovial Servicios, Groupe PSA, Federation Internationale de l’Automobile and FIWARE Foundation. IMPACT Connected Car is funded by the Horizon 2020 Framework Programme for the European Union under grant agreement no. 731343. To learn more about the six verticals and which one your startup fits into, visit the official FAQ. IMPACT Connected Car is currently seeking disruptive mobility solutions. Apply on the website before October 18th, 2018 at 17h CET. The 14 top startups have been selected from more than 500 applications to enter the first batch of the IMPACT Connected Car program and receive acceleration, mentoring, training, and equity-free funding. The startups are all focused on solving problems in the connected vehicle sector, including safety, vehicle management, and more. IMPACT Connected Car, the acceleration program that aims to respond to the industrial needs in the automotive industry, has announced the 14 startups that will enter the program and get acceleration, training, mentoring, and equity-free funding. These startups are the top companies who applied to IMPACT Connected Car’s first open call. This call for startups launched in October and received applications from more than 500 startups and SMEs coming from 41 countries. 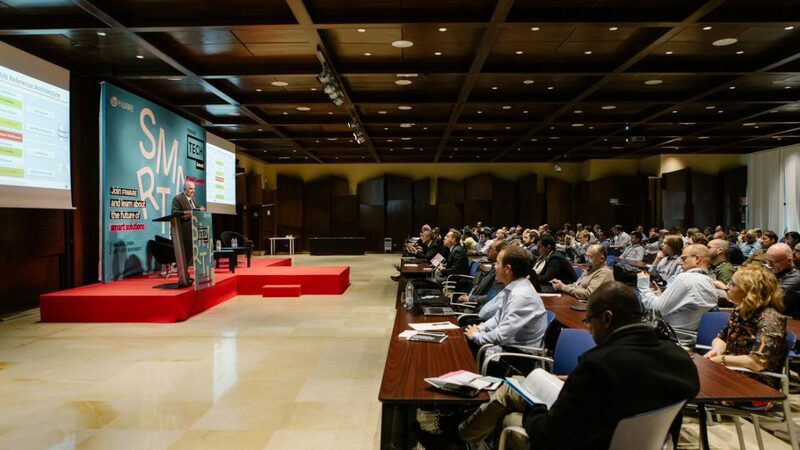 Of these, 25 projects were invited to attend the three-day Disruptive Bootcamp that took place last week in the Automotive Technology Center of Galicia (CTAG), in Vigo, Spain. The Bootcamp included one-to-one and speed meeting sessions and concluded with a jury day during which the 25 participating startups pitched in front of a panel of experts, including the coordinator of the program (FBOX), the business coaching leaders (ISDI), technical coaching providers (CTAG, INSERO, MOVEO, and the clusters AUTOKLASTR and LPNT) and large corporations (PSA Group, Ferrovial Servicios, FIA, FIWARE Foundation). Ultimately, 14 companies were selected to continue on to the next phase of the program. Spark Horizon was one of the companies selected to enter IMPACT Connected Car's first batch. 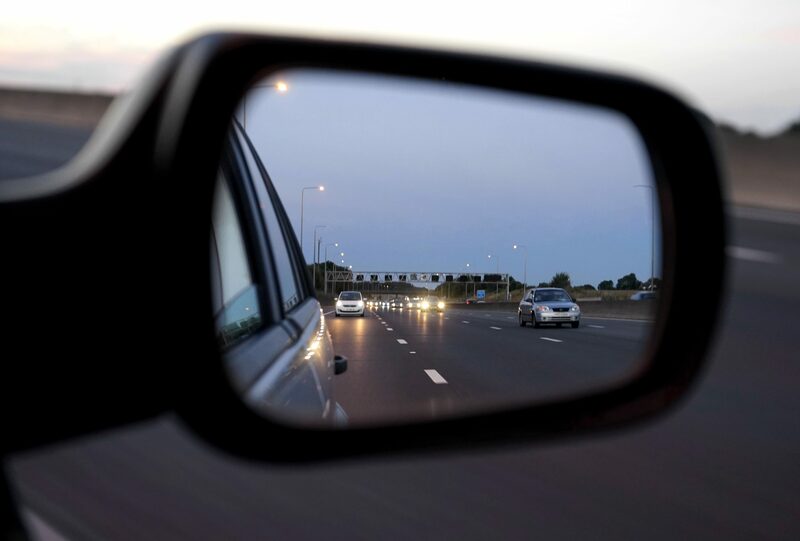 IMPACT Connected Car is focused on six challenges or verticals within the connected vehicle sector: safety & security, driver assistance, well being, mobility management, vehicle management, and infotainment. CardioID Technologies (Portugal): Enabling safer drivers and vehicles through a technology that is able to biometrically identify the driver and produce fatigue and drowsiness alerts. CARFIT (France): AI based technology that reads the vibration of the vehicle to make the car maintenance easier and mobility safer. Carricare b.v. (Chargetrip) (The Netherlands): Development of predictive deep learning models for fleet managers and energy operators around the world. Eccocar sharing S.L. (Spain): Car Sharing solution that optimizes and digitalizes the use of the existing fleets. HOMYHUB SL (Spain): Universal plug and play solution for garage openers that turns the smartphone into a Smart Garage Remote enabling users to control, monitor and manage access to the garage, anywhere at anytime. Motor Ai (Germany): A developed device which enables digital services in vehicles by collecting data of parked and driving vehicles. Parkbob GmbH (Austria): Parkbob enables a seamless last mile experience by delivering context-aware parking rules & restrictions as well as real-time on-street parkability. Situm Technologies SL (Spain): indoor positioning provider that enables corporations developing new location-based services. Spark Horizon (Switzerland): Universal charging solution. Spark Horizon conceive, install and operate the 1st European network of free charging stations for electric vehicles, sponsored through AI based advertising. TRAFFIC NETWORK SOLUTIONS SL (Spain): Using connected floating car data for optimizing mobility in junctions, roundabouts, work zones. Worldsensing SL (Spain): Platform to provide Operational Intelligence to cities through a plug and play approach which creates a customized solution to solve problems such as traffic or public space safety. Ximantis AB (Sweden): The project aims to forecast and anticipate, exact traffic congestion hot spots, before they have a chance to form. Y.Share S.r.l. (Italy): The only patented off the shelf technology to share the car, optimize its usage and turn it into a profit machine. 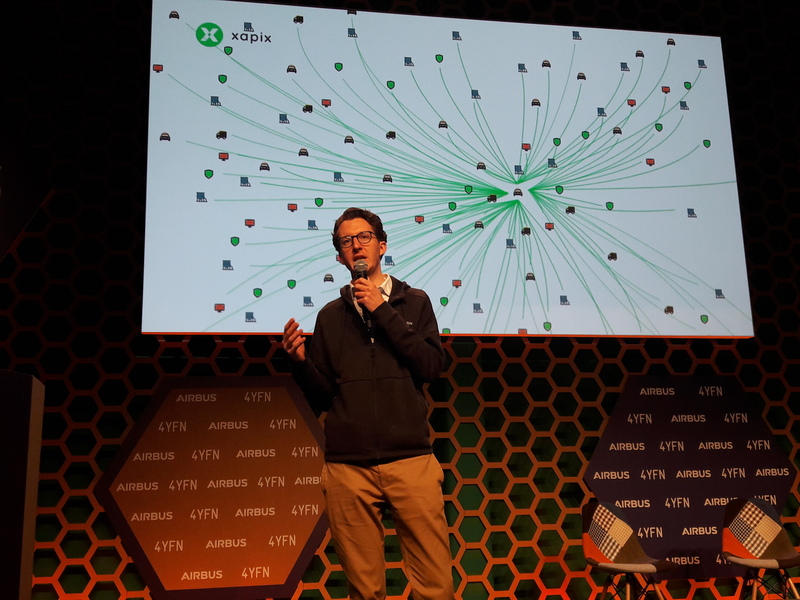 Christian Umbach, Co-founder and CEO of selected startup Xapix, pitched at 4YFN 2018. All 14 selected startups will receive up to €60,000 in equity-free funding and will now begin a six-month acceleration program led by ISDI (business coaching) and CTAG (technical coaching). The program will kick off with a Digital Bootcamp held next month at ISDI Madrid, during which startups will have the chance to meet each other, network with project partners, and learn from workshops and face-to-face sessions with global experts in the vertical. Following the Bootcamp, startups will return to their home ecosystems to participate in the rest of the de-localized program. The focus will be on acceleration and training, with an emphasis on mentoring. The entrepreneurs will have access to an international network of more than a hundred recognized mentors as well as founders and investors who are experts in different key areas of knowledge, both in the digital sector and in the automotive industry. *This article has been updated to reflect changes to the participating startups. The selected startups celebrate their win after Jury Day at the Disruptive Bootcamp in Vigo. Subscribe to our newsletter and stay on top of the latest IMPACT news. Open calls, job postings, opportunities for startups, and more! 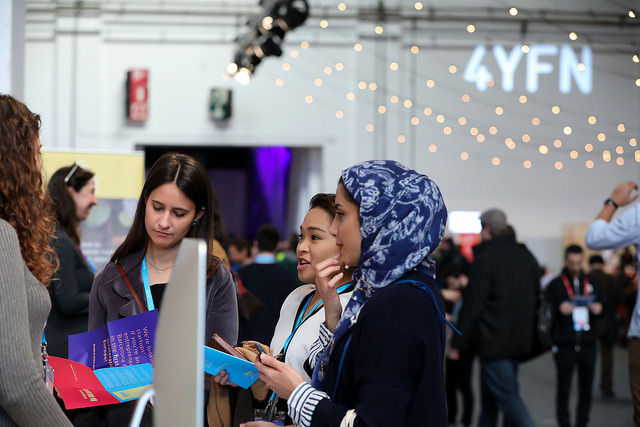 There are lots of opportunities to connect with IMPACT and the team at 4YFN Barcelona, coming up at the end of February. IMPACT Connected Car meetup, Monday 26 February at 16h in the IMPACT space. IMPACT Demo Day, Tuesday 27 February at 16:30 on the Airbus Stage. IMPACT Meetup, Tuesday 27 February at 18h in the IMPACT space. Or just swing by the IMPACT space and say hello whenever you have a free moment! Got a startup in the connected vehicle sector? Join the IMPACT Connected Car meetup at 4YFN Barcelona on February 26 at 16h in the IMPACT space. Meet like-minded people and network in the vertical. Meet 12 of the most outstanding IMPACT startups at 4YFN Demo Day! The event will take place on Tuesday, February 27 at 16:30h – 18h on the Airbus Stage. Some of the top #IMPACTer startups from three different programs — IMPACT Growth and IMPACT ConnectedCar — will be presenting their respective companies. Startup pitching will be combined with brief interlaced panel discussions to introduce the various verticals around which these IMPACT programs revolve. 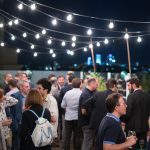 Following startup pitching, all attendees are invited to join the IMPACT Accelerator meetup with a light cocktail at 18h in the IMPACT space. 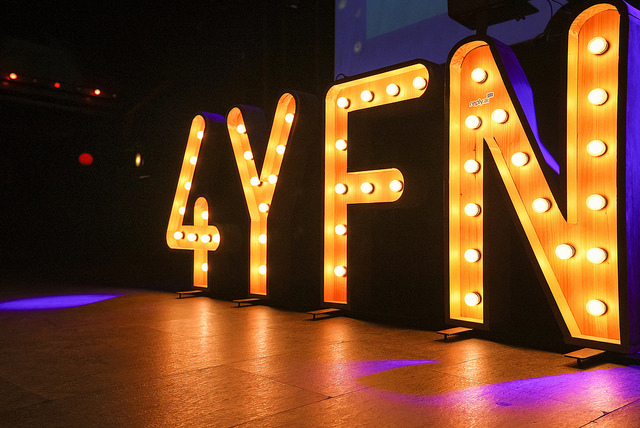 4 Years From Now (4YFN) is the startup business platform of Mobile World Capital Barcelona that enables startups, investors and corporations to connect and launch new ventures together.